Newman Street office rental is a modern building that is situated in the media district of London. Transport systems are located close to the building and there are a choice of train stations in the region. 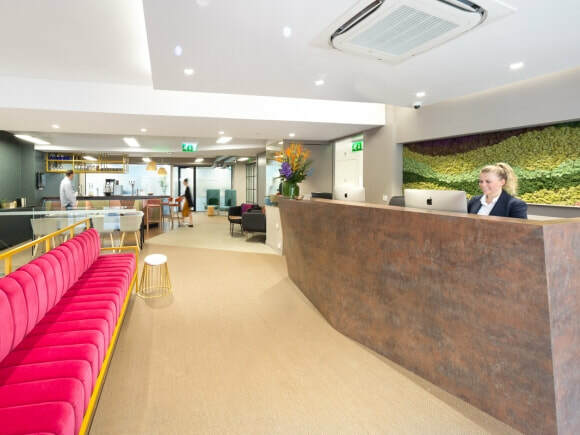 Comprising of a large reception on the ground floor of the property, this serviced office has an abundance of features including a relaxing roof terrace with plenty of seating. The local area is good and offers plenty of amenities including bars, restaurants, and cafes. There are also excellent shopping outlets serving the vicinity. The office space for rent can be taken for long or short-term use and each suite comes with broadband and telephony access. Furniture including chairs, desks, storage cabinets, and digital handsets are also supplied saving on additional costs. With generous communal areas within, this office for rent has break and lounge facilities as well as kitchenettes to make tea and coffee.